…Katie Holmes and Tom Cruise announcing their divorce, with 31 headlines resulting, far more than the 4 that spoke of a loophole in British child protection laws that has recently been closed. For those non-programming types out there it might come as a surprise to learn that an XBOX 360 is quite a powerful tool for creativity, and if manipulated successfully can deliver truly stunning results. Take this New Zealand agency’s offering, for example, by tweaking the motion sensor add-on Kinect they created a piece of software that transforms movement into music. Genius, it’s just a shame about the song. 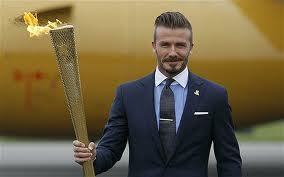 Another week, another social media campaign backfiring, though this time in a very amusing way. 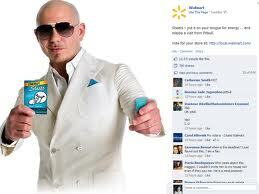 To promote oral hygiene product Energy Sheets Walmart drafted in U.S. rapper Pitbull, with the idea being that whichever store received the most Facebook likes would get a visit from the celebrity. Cue hijackers starting their own campaign to send him to the most remote business address in North America, on Kodiak island.